A- B- and E- pentatonic. Analyse the notes of each penatatonic in relation to the chord. There are three keys in this progression: B G and Eb. Also, on the Major 7th chords you can use the minor pentatonic that’s a semitone below the root. 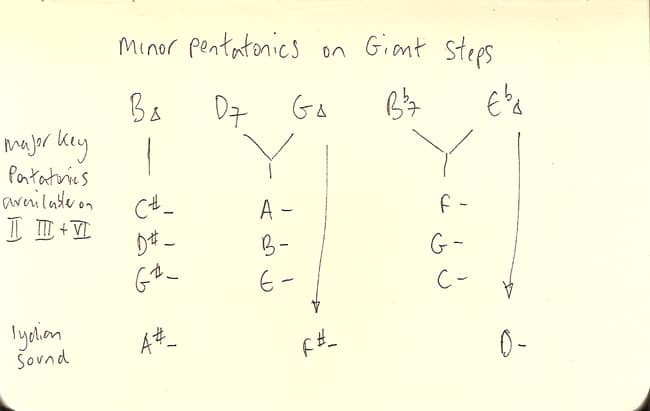 You might also use a minor pentatonic that’s a minor third above the dominant chords. That’d give you an altered sound.